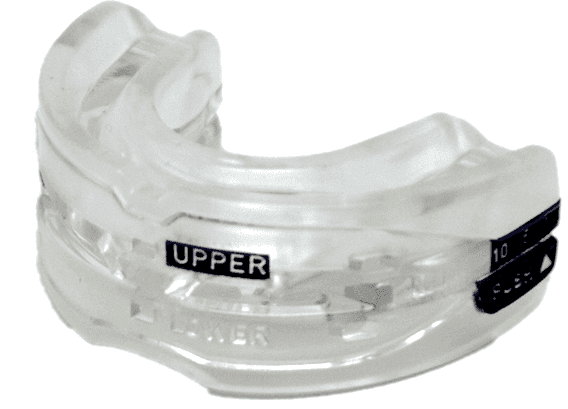 The Tap 3 Elite and SnoreRX are both classified as MADs (mandibular advancement devices). The Tap 3 Elite has a significant edge over the SnoreRX, however, due to its sleeker design, more customized fit, and ease of wearing. However, the cost and hassle of getting one mean that many will choose the equally effective SnoreRX. The prescription-only Tap 3 Elite functions like all MAD devices. The Tap 3 Elite forces the lower jaw into a forward position to reduce the risk of obstructions in the airway. It is one of the most successful obstructive sleep apnea treatments available. I visited my dentist to get my Tap 3 Elite properly fitted. After taking imprints of my teeth, my dentist sent the results to a laboratory so that the company could design a custom fit. Due to the required prescription and fitting, the wait time to have the Tap 3 Elite was over two weeks. Once it arrived, the device fit into my mouth near perfectly. The first night, I got a great nights’ sleep wearing the Tap 3 Elite. I awoke refreshed and my son told my wife and me that he did not hear any snoring coming from our bedroom. I had a mildly sore mouth for the first couple days but after a few minor adjustments with the included tool, the soreness disappeared. Cleaning was easy, as it only required warm water and dish soap. The sleek design did not require any additional scrubbing or removal of parts. After the month trial period, I decided to keep wearing the Tap 3 Elite system due to the superb results. See how Tap 3 Elite stacks up against other mouthpieces. The SnoreRX has a much different design compared to other MADs. The overall look gives you the impression, which is true, that the SnoreRX incorporates more sophisticated technology than other over-the-counter MADs do. My mouth was a bit sore after the first night’s use but my wife reported she felt fine. Both of us had a good nights’ rest. Both devices are comfortable to use and function as designed. However, Tap 3 Elite comes out ahead for several reasons. The Tap 3 Elite customized design means it is less bulky and much more comfortable to wear. I did not need to spend as much time cleaning the Tap 3 Elite, as there are fewer cracks and crevices than on the SnoreRX. However, the Tap 3 Elite is significantly more expensive and takes much longer to arrive. 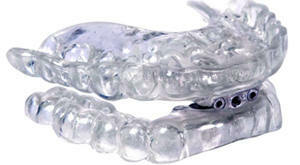 If you need to treat your Sleep Apnea, talk to your dentist about the Tap 3 Elite. If you are willing to sacrifice comfort and convenience for affordability, the SnoreRX price is a better bargain. Check out the SnoreRX discount coupon if you plan to purchase.